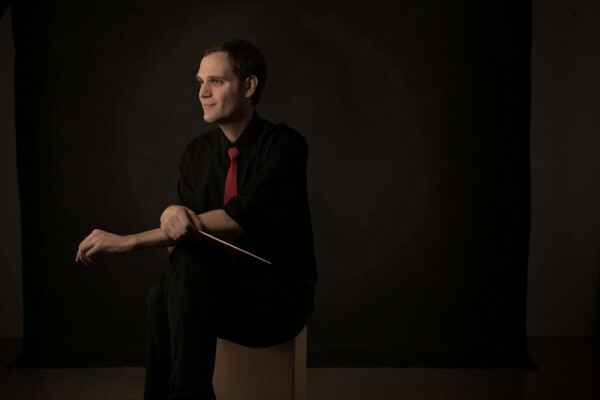 Thomas Parisch has had busy career in game music, from working on Resident Evil 6 in 2012, and recently joining Tencent Games. Originally from Germany, Thomas moved to Los Angeles to graduate from USC’s Scoring For Motion Pictures and Television program with the BMI scholarship, and became the laureate of the 2009 ASCAP Film and Television Scoring Workshop. Since then, he has contributed music to a number of films and television shows, including his most recent work – the much-anticipated theme song to Moonlight Blade “Shiguang Canghai”. 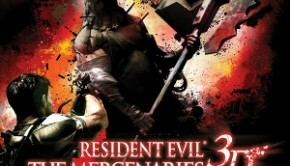 In this interview, Thomas Parisch discusses his work over the past few years, including his background in composition, his contributions to Resident Evil 6, and his more recent move to Tencent Games. He also discusses his work on “Shiguang Canghai”, a song which reached no. 2 in CCTV charts and no. 5 in Global Chinese Golden Charts, and his collaborations with a range of composers and performing artists on both Moonlight Blade as well as previous works. Emily: Can you tell me about your musical background? You also got started in Hollywood fairly early on as a composer – what led you in that direction when studying music? Thomas Parisch: Actually, I didn’t focus on that direction early on. The path I took leading me to Hollywood eventually was rather crooked and full of detours. In hindsight it makes a lot of sense – but then hindsight it always does, doesn’t it? – since I showed a lot of what one would consider key ingredients for a composer in media: I always knew I would pursue music, I knew that my interest is in the creative behind the scenes aspects such as composing rather than performing. Also, rather than focusing on on a specific genre, I always tried to learn about different styles, be open minded and nonjudgmental about any type of music. Throw in a love of storytelling and dramatic impact and a musical career in Los Angeles seems like the obvious answer. But all this took bit more time for me to figure out, I had to go through some grueling years of studying oboe performance and theory first, then dabbled in jazz and other popular genres. I guess it would make a better narrative if could say it was my goal since I was little – but it wasn’t. Emily: From there, what led you into scoring for games? After focusing in film and TV, were there any significant structural changes you had to make to your scores or pieces to fit the genre? Thomas Parisch: Serendipity, more than anything. First of all, it happened at a time when I was looking for work. I was fresh out of school and looking for work. Apart from that, games are a unique musical challenge and opportunity that I hadn’t been doing any work for up to that point; although, it was part of the coursework at USC – being introduced to music in games. So I had been wanting to have a go at it professionally for a while. Basically, what makes it unique and fun for me is that, as opposed to scoring for film, I can forget about syncing up certain action in the visuals with the music and instead focus more on the dramatic quality of what I’m writing. Because in the end, sync points with film are fun and can be very powerful but what I’m interested in most is the overall emotional quality of the music, the dramatic subtext it creates. Mickey-mousing actions and all that good stuff, that’s what’s best left to sound FX. This is for the most part simply because in games the players decide the timeline of actions as they go so the music has no choice but to be mainly limited to that aspect. But “limited” here is actually a good thing, I think. It can be a liberation, a shackle taken off at last! In my opinion, it usually allows composers to write more “complete” pieces of music. And when musical integrity is preserved, it also helps the emotional impact with the ultimate goal to serve the game best. Apart from that, game music has also some fun technical differences as opposed to writing for film. Writing music that loops and writing in layers comes to mind. But those are less significant or say, less enriching differences to me. Emily: Since then, you’ve recently become a composer for Tencent games – congratulations! How did you first get in touch with Tencent, and what led you to the more regular position? Thomas Parisch: Again, sort of a coincidence. I was lucky enough to meet a Chinese music producer, Vivita Zheng. We quickly realized we had common ground in what we where looking for aesthetically in music so I was really hoping I could work with her. Soon enough, the first project came around, nothing less than the special new year theme 2017 for Honor of Kings. Since this is a very big title in China, this was a big opportunity but also meant that it came with risks and quite a bit of pressure. Luckily, the project, which was co-written by Miles Hankins, went well so from there Vivita and I started to collaborate more. As a producer she is really important especially since these projects often require more than simple translation. The culture differences often come into play when it’s about finding the adequate creative direction. Vivita has a composing background herself so she is a perfect link for myself, a Western composer. Thanks to all that, by now I established a pretty steady collaboration especially with Tencent’s Aurora Studios. I really enjoy working with the music supervisor over there, somebody that always tries to go beyond the established norm, always looking to fuse different music cultures with an open mind. I did quite a few games for them in not even a year’s time, mobile and online games. Moonlight Blade is one of them. 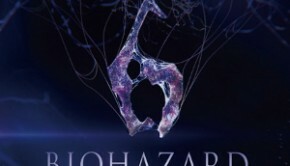 Emily: You also contributed music to Resident Evil 6, which had an impressive lineup of composers. Can you tell me about what that process was like? How were each of you assigned music? Additionally, it looks like many of your tracks were composed alongside Laurent Zillani – how did you work as a team on those tracks? 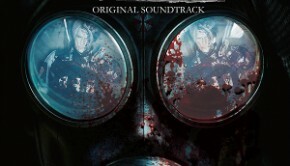 Thomas Parisch: For Resident Evil 6, Laurent and I were working closely with the Capcom in-house composers. It was an honor to come on board for this big title as they don’t usually hire anybody from outside the company. So, I think, it was a rather unusual situation for them as well. But they were very well organized; they had a lot of extensive excel sheets with detailed description, regular meetings, and so on. 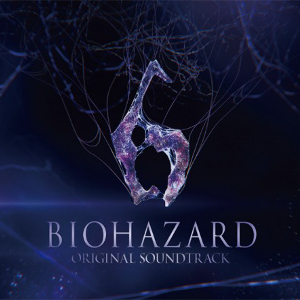 Cues were assigned by the lead composer from Capcom, Akihiko Narita, although I’m not sure what exactly were the deciding factors. But I would say he gave us what was in our area of expertise as well as cues using or referencing the main theme which we had written. Laurent and I usually wrote cues rather independently but of course we would get in line beforehand in terms of style and thematic material, as well as sounds we wanted to use and other things like that. Then we occasionally consulted with each other when there were tougher nuts to crack creatively. It was a long project and there were many things to consider along the way. Plenty of discussions happened with the Japanese team as well as among ourselves. It was a lot of fun, rewarded in the end with an orchestral recording in Sydney where the whole team got together finally. Emily: You recently had some of your music from Honor of Kings performed live at a concert version of the MOBA’s acclaimed soundtrack. How was this experience for you? Were you involved with creating the concert arrangements? Thomas Parisch: It was actually a performance during the opening ceremony for the spring season finals of the King Pro League 2017, a massive e-sports event based on Honor of Kings taking place in Shanghai. Tencent took care of the orchestral arrangement themselves. But what was performed is pretty much the original piece; nothing got changed in the arrangement. Maybe a few adjustments had to be made to fit the orchestra on stage, but I hardly notice anything myself. It was an honor and a privilege however to be performed in front of such a large crowd and be on the program together with pieces by Hans Zimmer, who had written the original theme of the game. Emily: Your soundtrack to Moonlight Blade features a fusion style of composition, bringing together Western and Eastern sounds for a hybrid sound. What was behind this decision, and what kind of research did it involve? Thomas Parisch: The main creative direction was an idea by the Tencent music supervisor, Jie Yang. He was looking for a way to preserve Chinese elements in the score, elements of both sonic nature such as traditional Chinese instruments but also of the musical language native to China and some other south-east Asian regions. In these regions, there is a different musical syntax, a different way of expressing musical meaning, if you will. It was great to learn about this more in depth. At the same time he wanted us to draw from our own musical background. To give one example for what we did instead: we made recordings of traditional Chinese instruments and from that we built custom sample patches, all before starting composition. But we recorded them in a unique, non-traditional way. For example we used the idea of special effects and applied it to traditional Chinese instruments. So we ended up recording aleatoric effects on a Guzheng for example. Using that in our compositions, we had music of varying degrees of fusion and overlaps of cultures in new ways. It was a lot of fun and so educational. Of course it would have been easier, and this happened a lot I think, to write music that’s basically based in our European tradition of tonality and form and throw a few “ethnic” instruments on top and call the result Chinese music. That would have been to simple and insincere. We tried to go a step deeper than that. I hope it worked. At least we tried! Emily: Can you tell me about your collaboration with vocalist Dimash Kudaibergen? How did you meet, and what inspired you to invite him to sing on Moonlight Blade? Thomas Parisch: Oh, there’s so much to say about this song. Sometimes it feel like it took more time to produce this one song than it took for the entire score. Actually, to bring Dimash on board for this Moonlight Blade theme song was the idea of one of the creative producers and writers of the game. She was also the lyricist for the song “Ocean over the Time”. Of course, it also helps that Dimash is among the most famous singers in China these days after he came to popularity participating in the Chinese Idol show. It was a very challenging project but in the end immensely gratifying. Part of what made it challenging was the idea from Tencent to incorporate an older motif from Moonlight Blade in the song. It took me some time to find a good solution to make something that was underscore at first to be part of a song (it ended up being used in the verse). Then the lyrics demanded a rather unusual form for the song. Actually, once I managed to understand the text in depth (the fact that it was in Chinese and I don’t speak Mandarin didn’t make it easier), it was clear that we needed to keep it intact and find a musical solution that complements the story as it was. In the end it became a sort of orchestral ballad that pushes the boundaries of the standard pop song formula. To be honest, I was struggling with these differences quite a bit during the writing but now I’m very happy with it exactly because of what makes it slightly out of the norm. Apart from that it was really fun to work with this outstanding singer. Dimash truly is a natural when it comes to musical expression and his range and control spanning several octaves are absolutely unique. I really wanted to use and showcase all this in the song. Originally I was writing for two and a half octaves, which I thought rather large already. But in the recording with his improvisation towards the climax, he pushed it beyond and unbelievable three and half octaves. To witness that live was a real treat. A fun fact about the vocal recording is that him being Kazakh, he sang in a language he is not fluent in. So he truly did a remarkable job conveying all that emotion while he had to pay special attention to his pronunciation of the Mandarin lyrics. Apart from that, we had other complicating factors of the production since it was spread out all over the world. Only the piano was recorded in L.A. (for which we got the one and only Randy Kerber – what a pleasure and honor! ), while the vocals and other band instruments were tracked in Bejing, and the orchestra was recorded in Budapest (but monitored remotely from Beijing; deadlines left no other choice). I actually got to go to China for the Beijing part. It was nice since I finally got to meet the whole team from Tencent and also got to work with Dimash personally. A truly memorable experience. Then, back in L.A., we finished all the post recording work. John Chapman, mixing it at Remote Control, did fantastic job carefully balancing all the various elements. The final polishing in mastering was done by Bernie Grundmann. Posted on October 21, 2017 by Emily McMillan. Last modified on October 21, 2017.